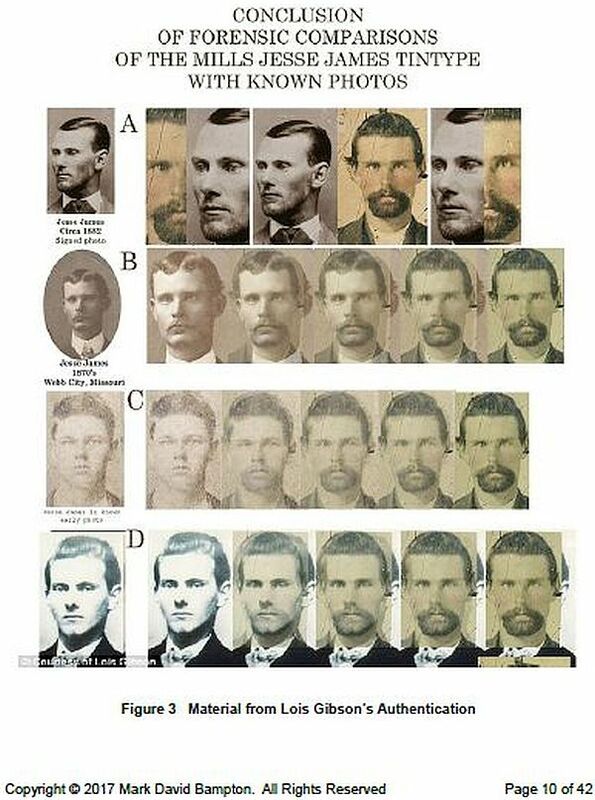 Seeking authentication experts of convenience doomed Justin Whiting & his fake Jesse James photo to failure. 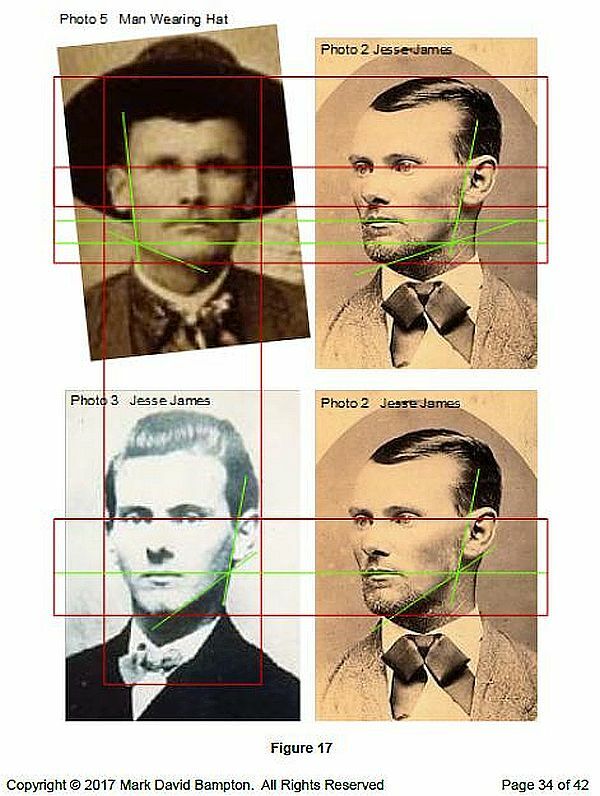 When Justin Whiting’s “7£ eBay find” was rejected by the Jesse James family as a fake image of Jesse James, Whiting turned to experts of convenience. 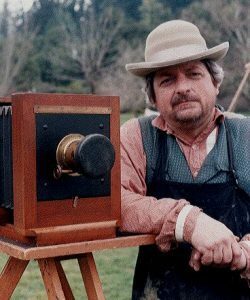 Whiting believed the experts he chose would provide the validation required to bring his tintype to auction. His experts would provide Whiting a path to the financial windfall he expected. Whiting’s experts of convenience, however, fell far short of the task. Flaws hidden in their backgrounds and abilities proved to equal Justin Whiting’s flaws of expectation. 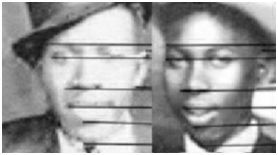 In email salted by bad grammar, misspellings, and chronic badgering, Whiting repeatedly plagued the James family’s historian, Eric F. James, with conflicting claims related to several old photographic images Whiting owned. 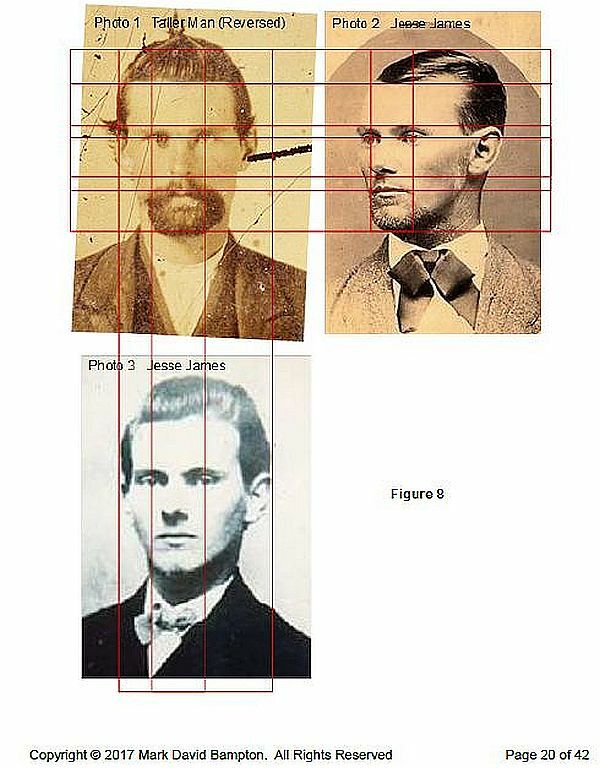 Once Whiting settled on the best image he thought was Jesse James, he requested the family historian’s concurrence without offering justification or reason. 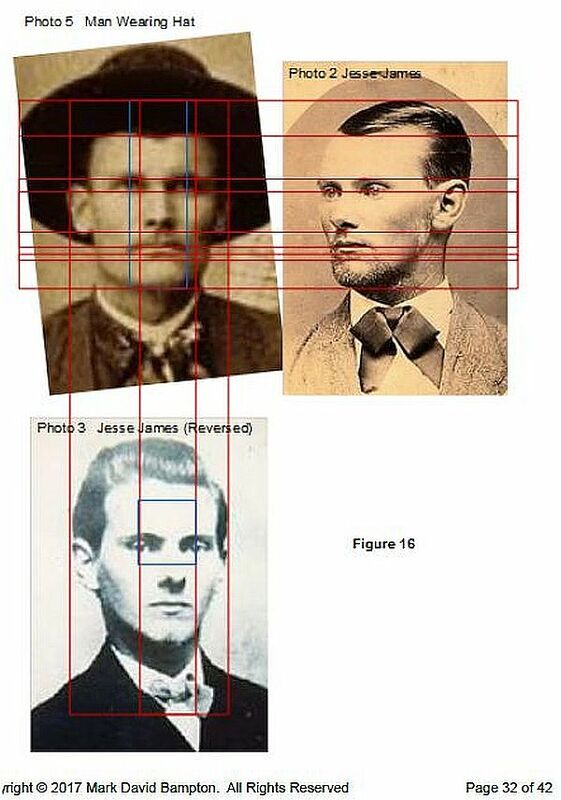 In short order, James informed Whiting his image, in fact, was not an authentic image of Jesse James. 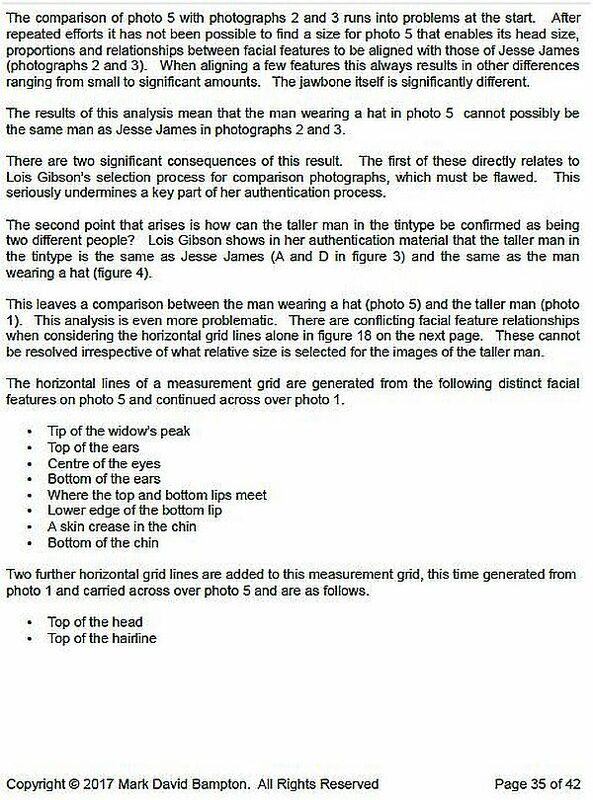 James further advised Whiting that any effort to secure an authentication would be a waste of time, effort, and money. 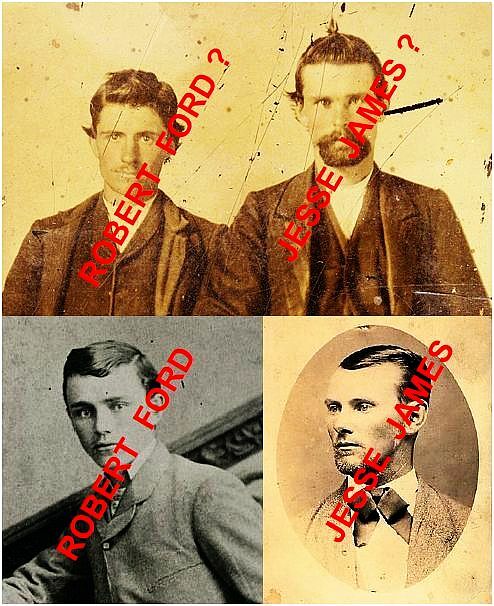 Whiting abruptly switched to other images in his possession that he also claimed was Jesse James. 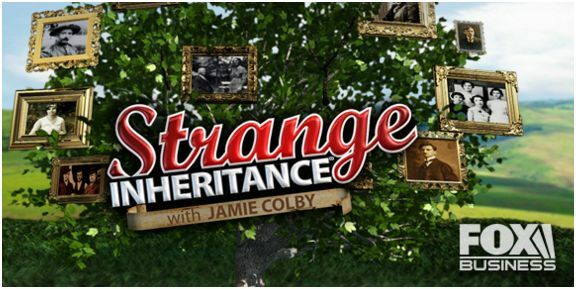 Whiting’s incoherence quickly turned into an annoyance for James. 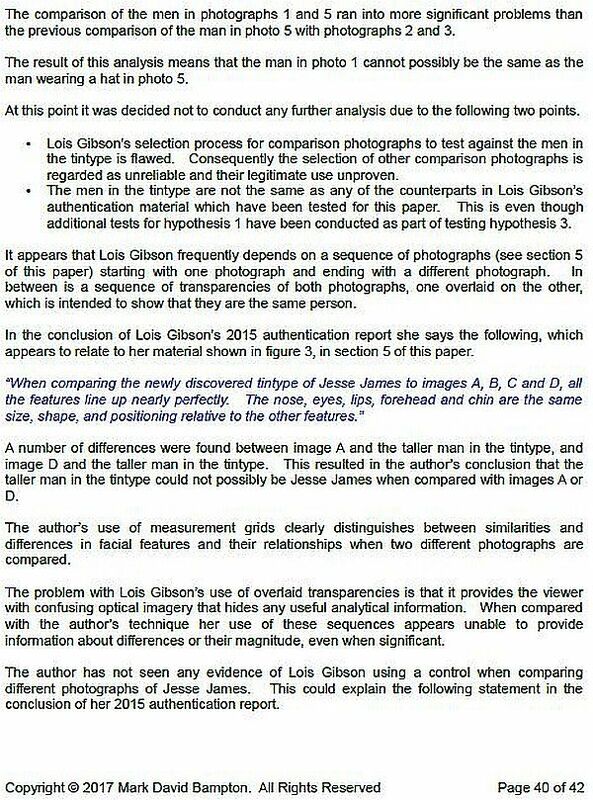 The irritation turned into exasperation when Whiting informed James he would consult Lois Gibson for an authentication of his image. 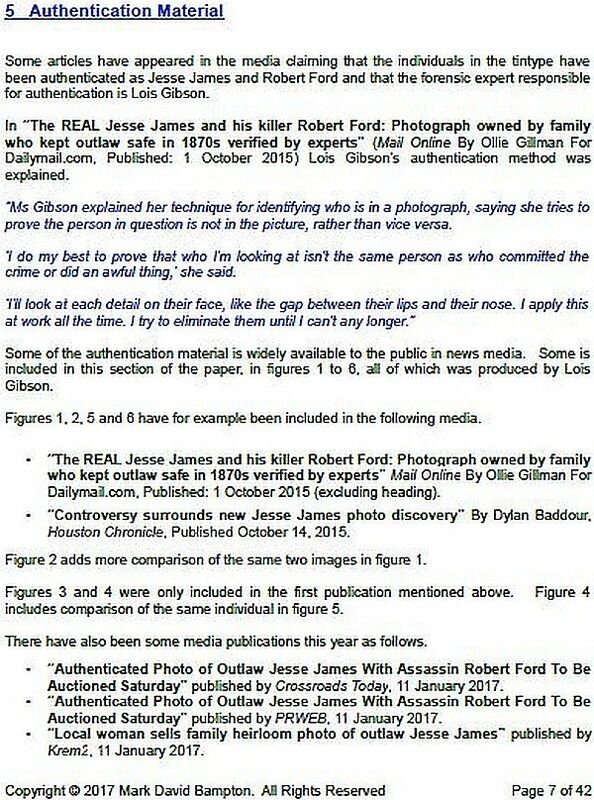 Lois Gibson was known to James as the haywire authentication artist in the Bob Ford/Jesse James Photo Hoax of 2017. 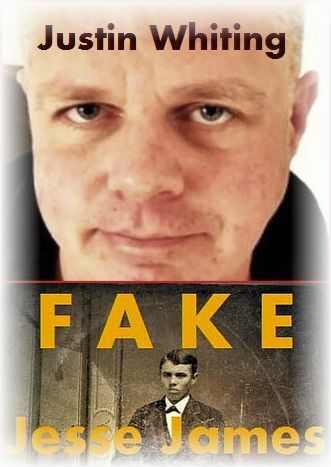 James warned Whiting to be wary of whom he associated with, lest Whiting acquire the reputation of a con artist himself. Months past before Whiting returned to James. 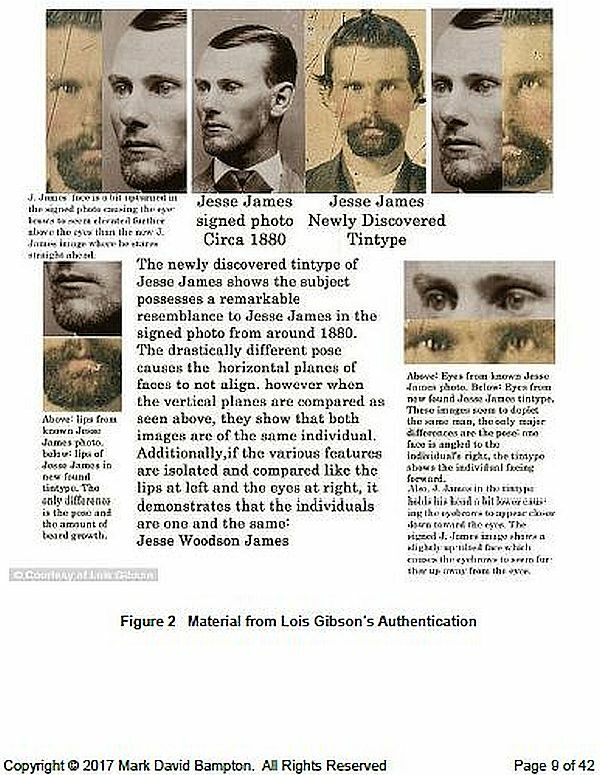 When he did, Whiting complained that Lois Gibson did not believe his image was a match for Gibson’s Jesse James image authenticated in her hoax. 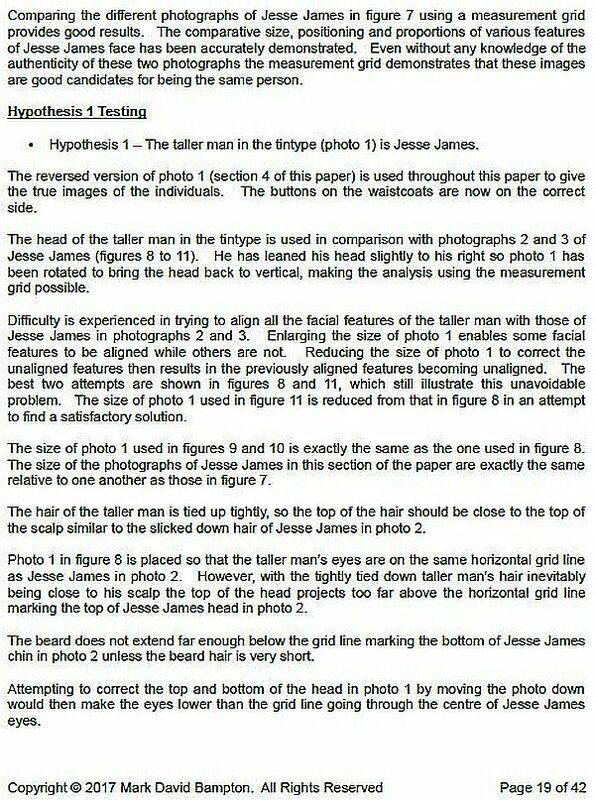 Why would they, James questioned. 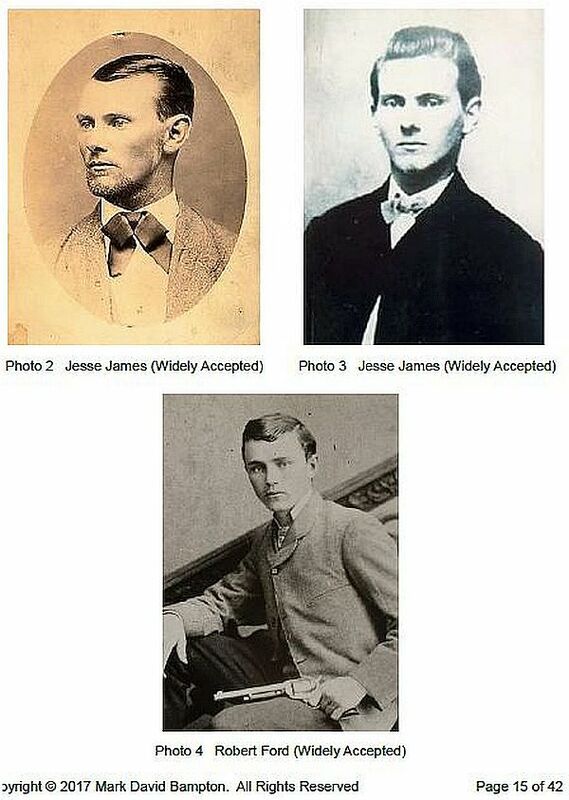 You can’t compare a fake image of Jesse James to another fake image of Jesse James that was authenticated as a match for yet another fake image of Jesse James. Whiting’s rabbit hole of foolishness was laughable. 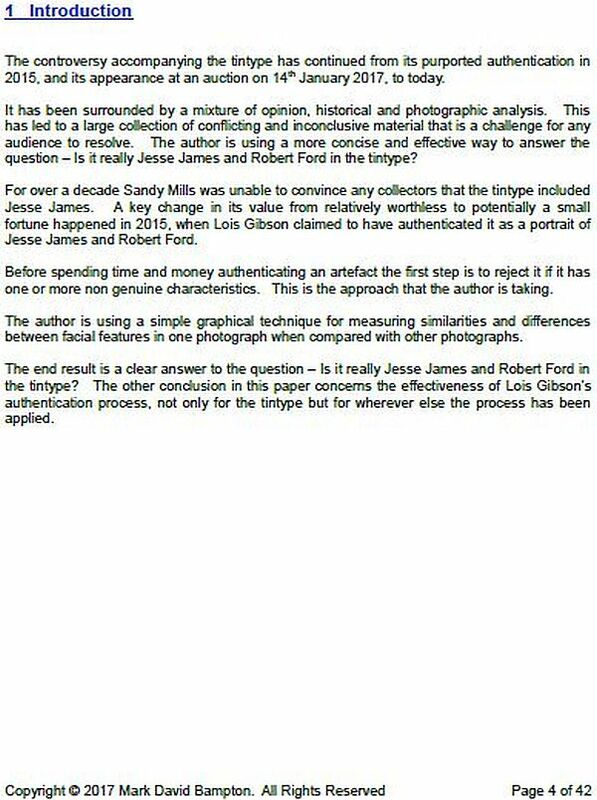 Regardless any reason, or the lack thereof, Lois Gibson offered to authenticate Whiting’s image for $750 plus an additional $750 to authenticate Whiting’s comparison image. 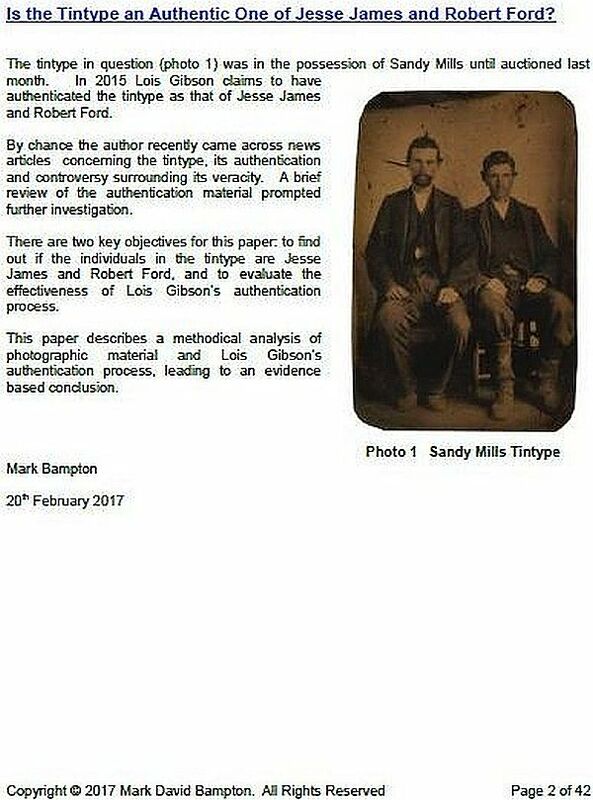 “Authentication” of Billy the Kid by Lois Gibson. 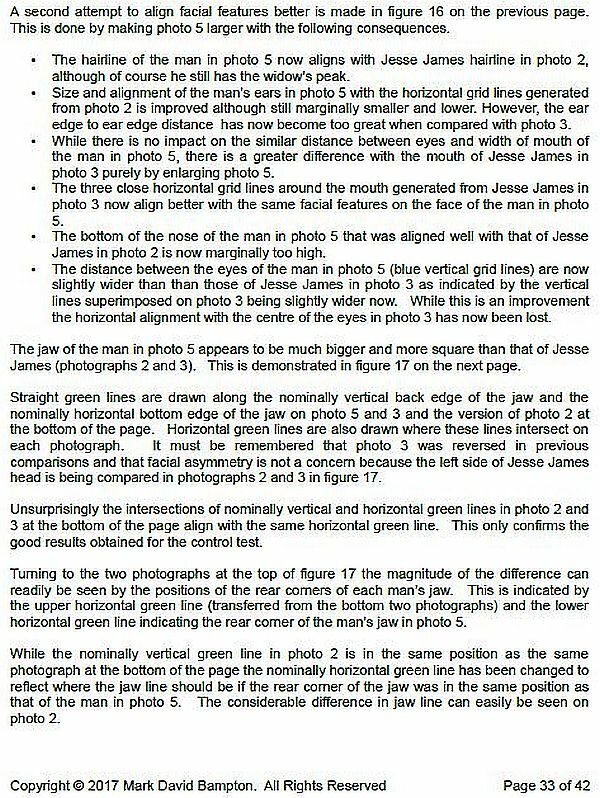 Whiting told James he would align with James in branding Gibson a fraud if only James would approve his image. At this point, James ceased responding to Whiting’s chronic email. 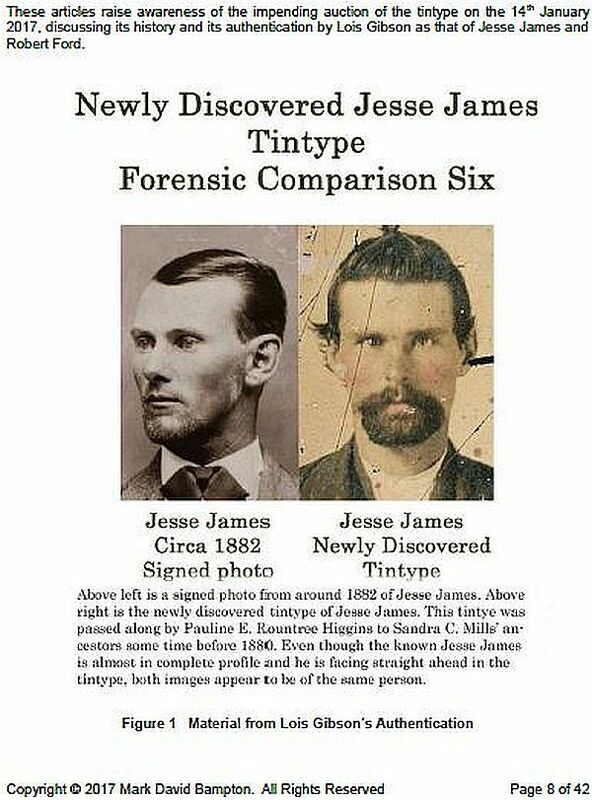 In time, Whiting returned once more to James to announce he had found an authenticator more expert than the Jesse James family. 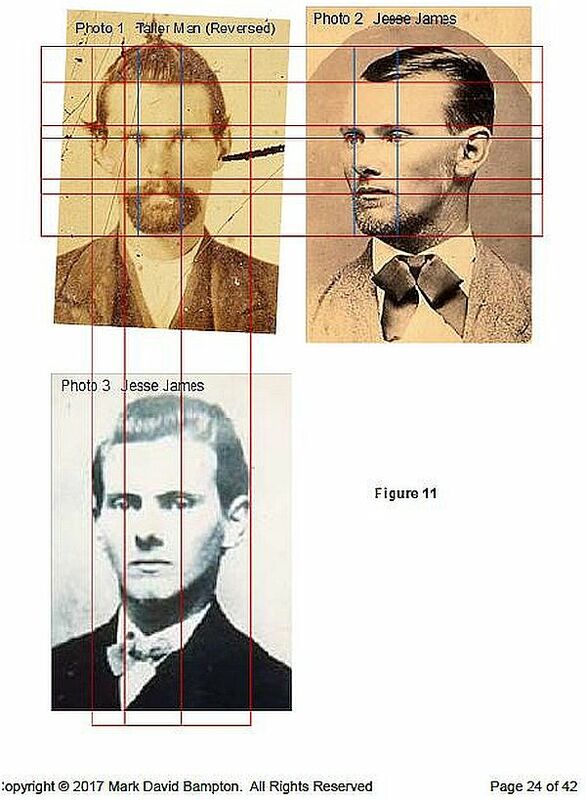 His authentication expert accepted Whiting’s image as a match to an image of Jesse James known by James. Shortly, Whiting expected, his image would be fully authenticated in writing so he could proceed to the auction market. 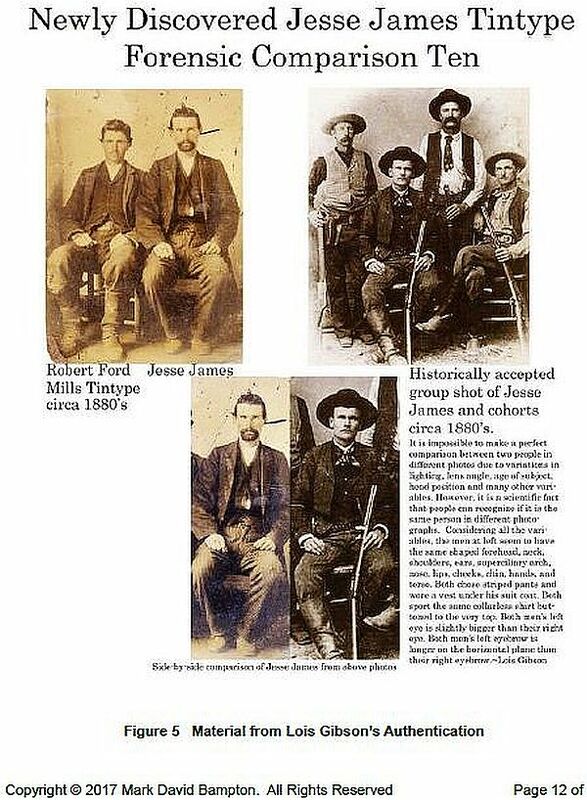 William Dunniway is not an expert in Jesse James photography. 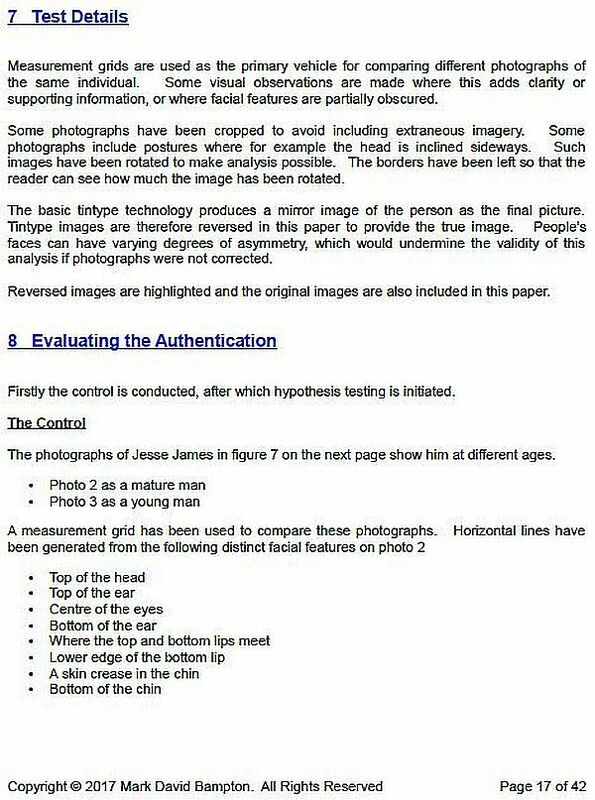 He is not an expert in photo image authentication, nor is he trained in any photographic forensic science. 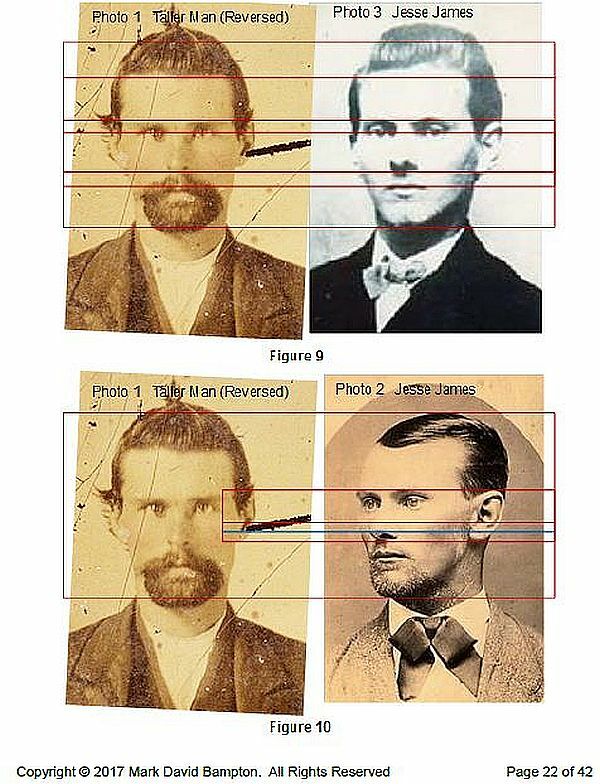 This did not stop Justin Whiting from seeking William Dunniway as his second expert after Lois Gibson to authenticate his fake image of Jesse James. 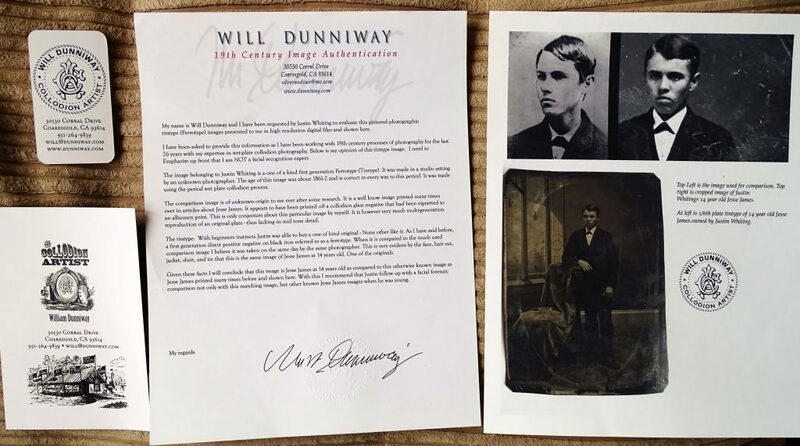 For 25 years, Will Dunniway, as he is known, was a re-enactor of history. 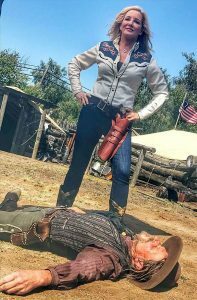 Today, Will no longer does re-enactments. 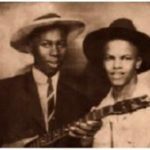 Instead, his time is devoted to his interest in wet collodion photography, an old style of photographic image creation that differs entirely from the tintype photography of Justin Whiting’s image. 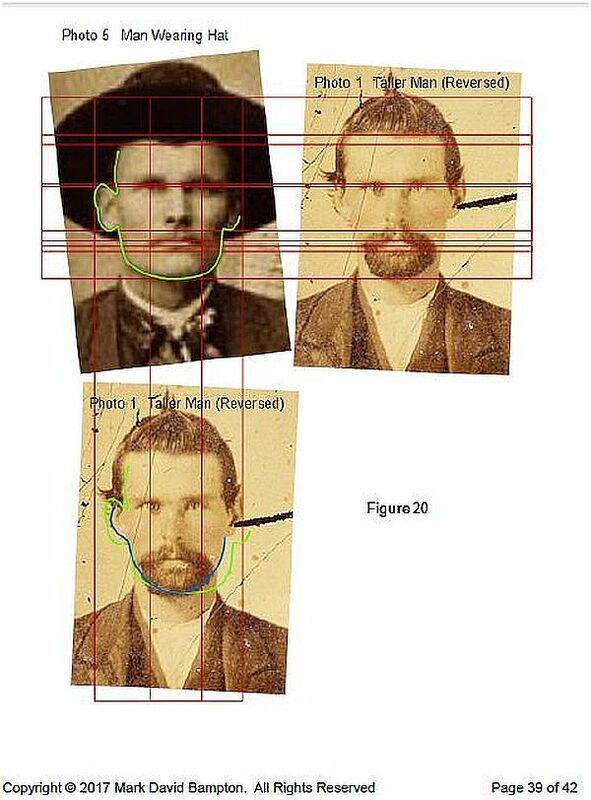 Like Justin Whiting, inexperience in the forensic science of image authentication did not stop Will Dunniway from stepping beyond the boundaries of his abilities. When he did, Dunniway exposed his own deficiencies. 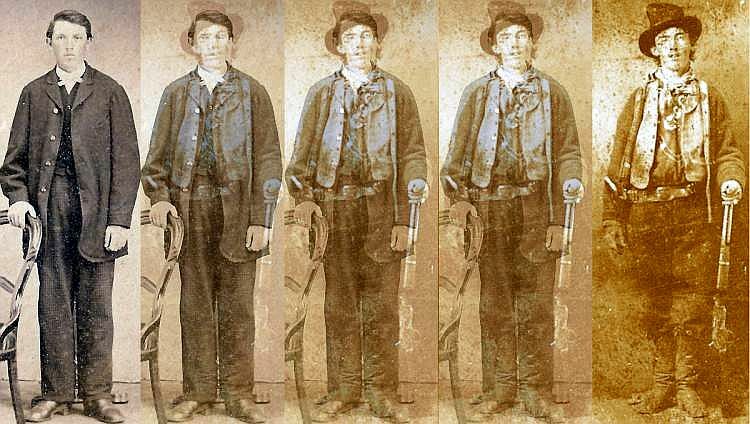 Recently, Will Dunniway was called upon to assess an image claimed to include Billy the Kid. 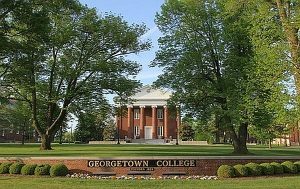 The National Geographic Society produced a documentary about the find. 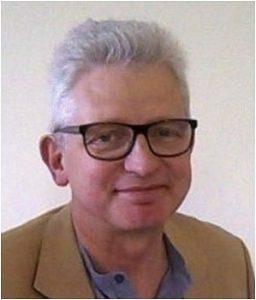 The image since has become highly controversial and has divided the community of western historians. Dunniway’s opinion revealed the limitations of his expertise. 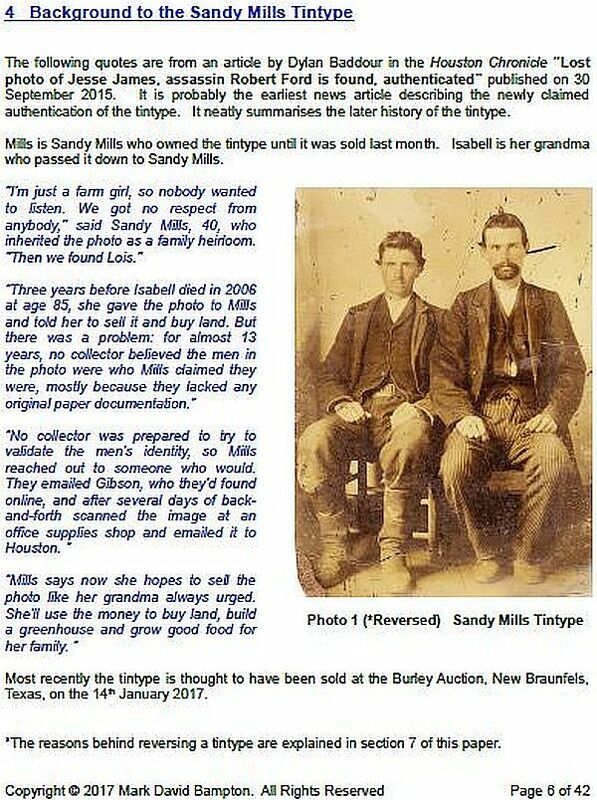 True West Magazine reported Dunniway’s Billy the Kid findings. Such was Will Dunniway’s sole findings. Does this tintype of a croquet game include Billy the Kid? 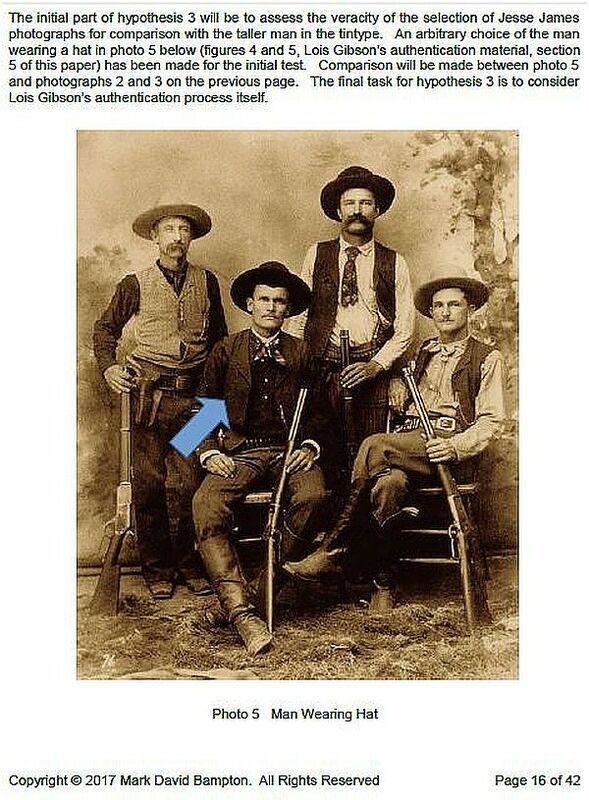 Will Dunniway suggested that period clothing and an estimated date of 1877-1881 says the third person from the left is Billy the Kid. 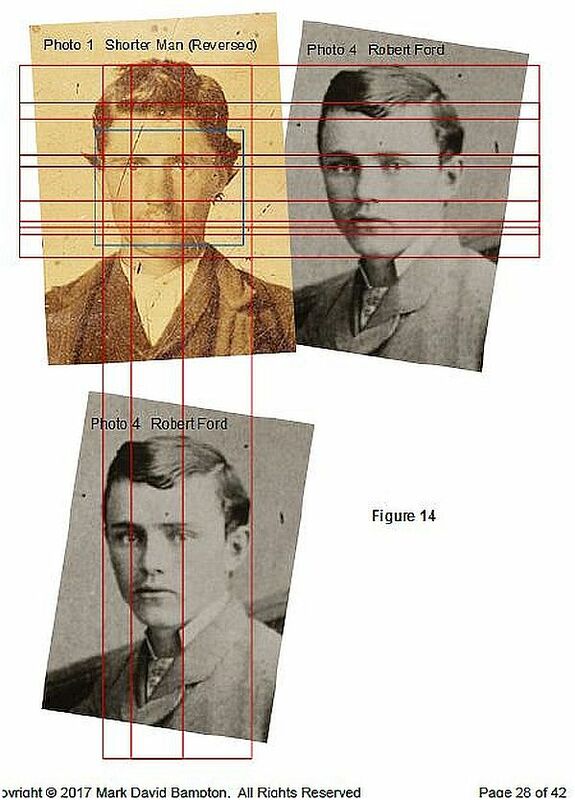 Of Dunniway’s two findings – one, the date stamp of a collodion image compared to a tintype, and two, the identification of period clothing – neither of these findings authenticate anything regarding the primary question. Does the image include Billy the Kid? 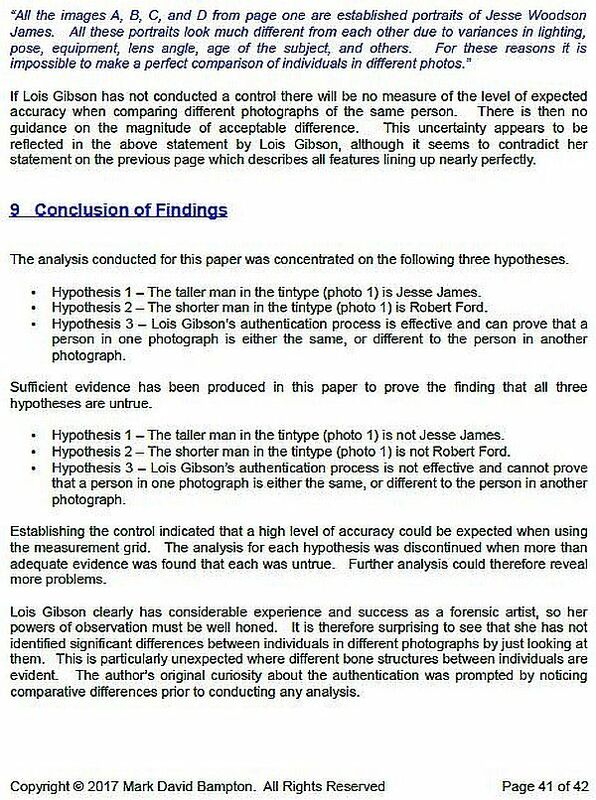 This statement alone should have disqualified Dunniway as an expert in forensic science suited to assess and write an image authentication. Any opinion Dunniway might produce was doomed to be rendered unworthy. 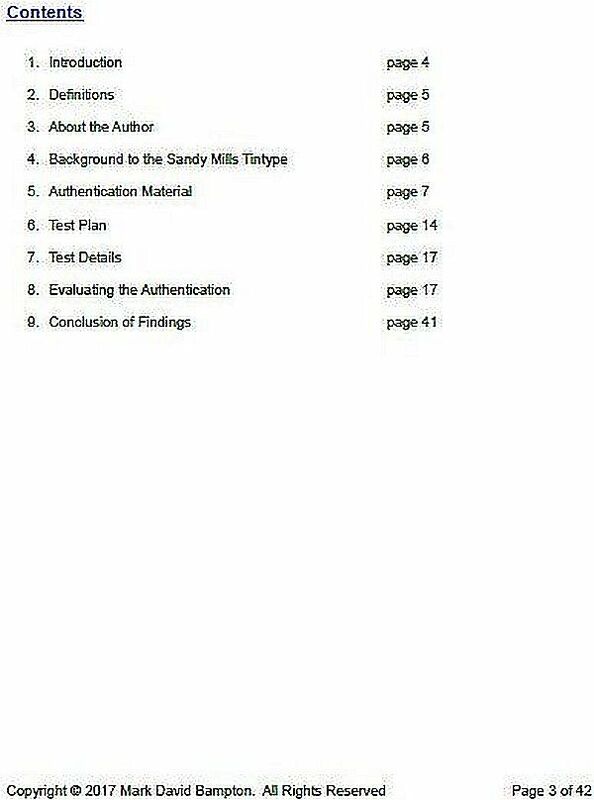 Affidavit of authentication by Will Dunniway lacks any statement of training and experience in formal forensic science analysis or motorization. The opinion letter is accompanied by a business card, promotional advertising, references copies of Whiting’s claimed image, and a meaningless imprimatur stamp. The document is not notarized. Regardless, Dunniway persisted in Whiting’s authentication charade. Dunniway stated, “The age of the image was about 1861-1862.” He offered no explanation for his declaration. In conclusion, Dunniway’s imagination took flight like that of Justin Whiting. “I believe it was taken on the same day by the same photographer. 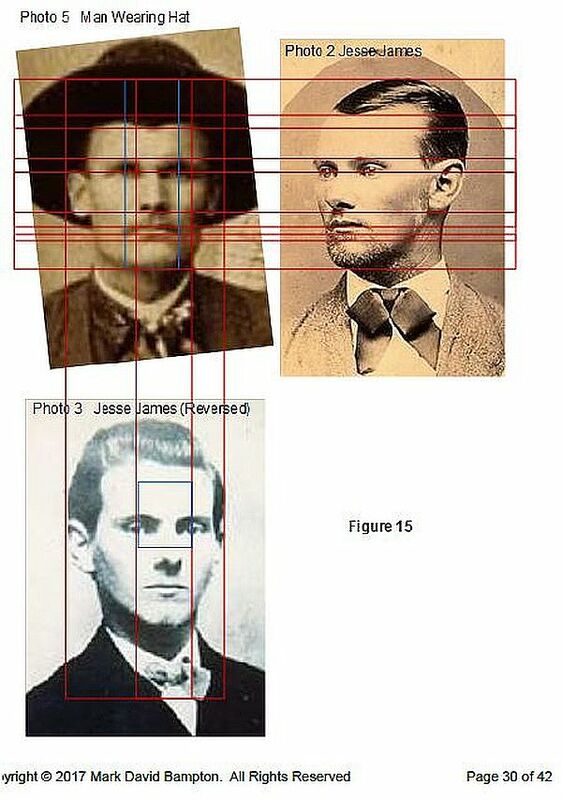 This is very evident by the face, hair cut [sic], jacket, shirt, and tie that this is the same image of Jesse James at 14 years old.” How this imaginary deduction is made, Dunniway left entirely unexplained. In the end, Dunniway excused himself and his valueless declarations. 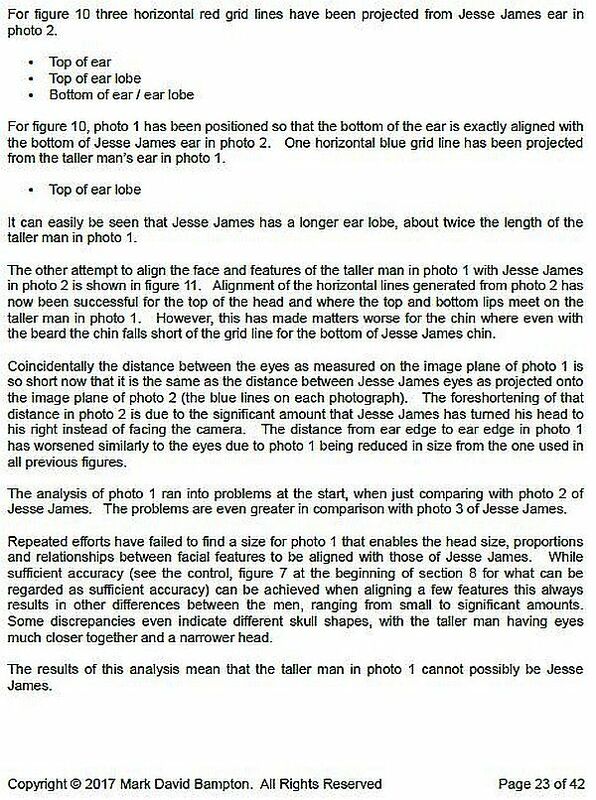 “I recommend that Justin follow up with a facial forensic comparison…” With that, the buck was passed from Justin Whiting’s second expert to his third expert, Kent Gibson. 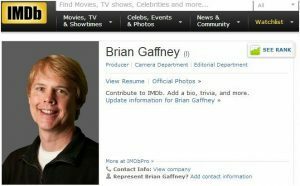 Under the name of Forensic Audio, Gibson markets himself as “Certified Forensic Audio Examiner.” His impressive show business resume boasts abundant credentials limited to the field of audio. 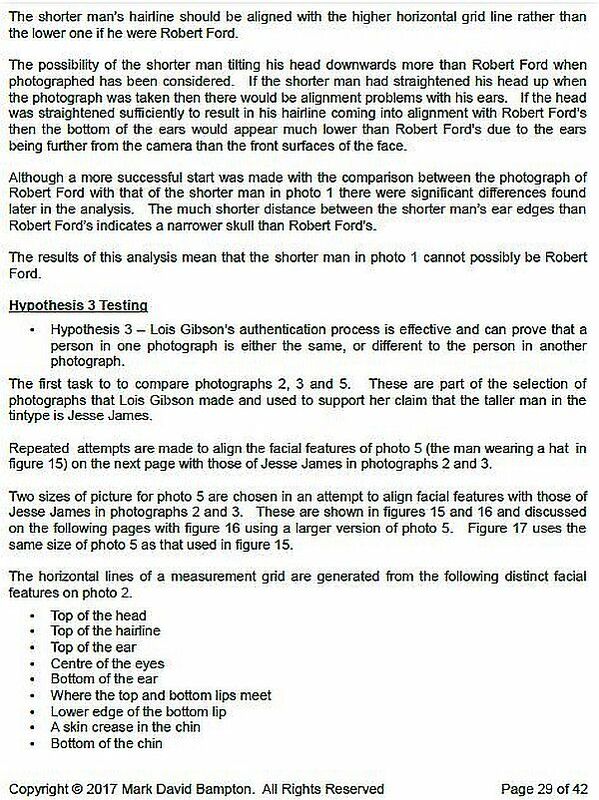 Nothing in Gibson’s resume reveals any training, expertise, or experience in forensic science, historical photography, photographic analysis, or history. Like many in show business, Gibson prefers to put forward a younger, more attractive image of himself. 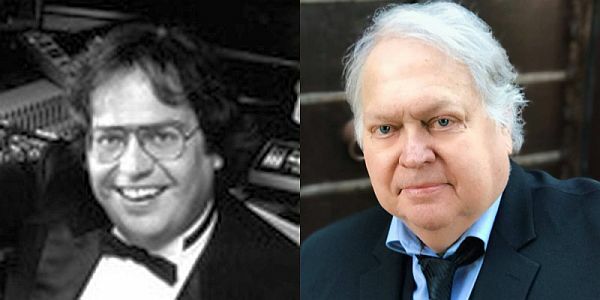 The photo of Gibson that appears on his website is a much younger version of the middle-aged persona one meets in person. Gibson also fudges the location of his business. On his website, Gibson advertises, “My studio laboratory is in the Hollywood Hills.” His actual address, that appears on the same web page, exposes Kent Gibson’s fundamental difficulty with veracity. Kent Gibson’s studio is not located among the glamorous, star-studded, multi-million dollar mansions and estates of the Hollywood Hills with its stunning views and coveted seclusion. Gibson’s actual studio and home are in the workaday neighborhood of the Hollywood “flats.” Originally populated by crowded orange and avocado groves, Gibson’s neighborhood today is beset by heavy traffic, closely knit homes, and apartment buildings. Whenever Kent Gibson is shown an old photographic image, Gibson exits the neighborhood of reality and enters a world of fantasy. Like Justin Whiting, Gibson dreams of discovering the historic photo that will make his name as popular as a celebrity subject he attaches to it. No explanation or justification for this is required in Gibson’s world of expertise. 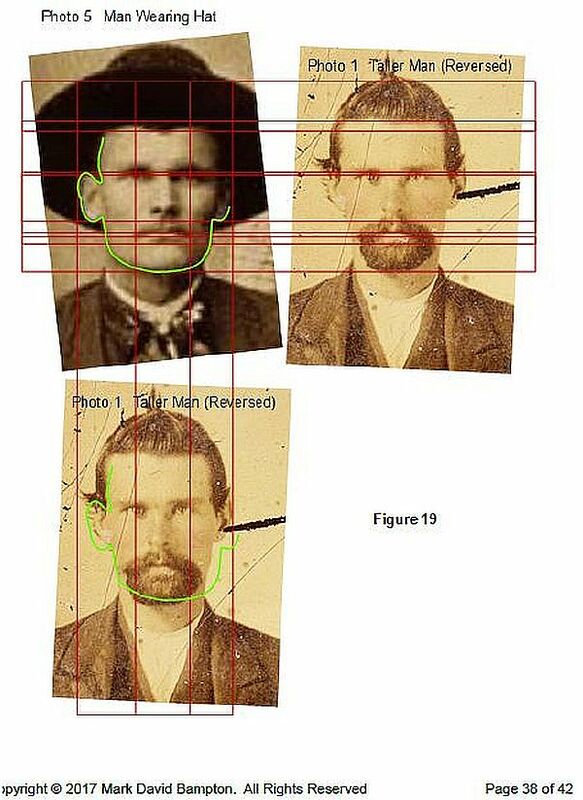 Despite his lack of scientific forensic credentials, Kent Gibson already has established a record of highly questionable photo “authentications.” One attached him with Will Dunniway to the disputable Billy the Kid. The other, more egregiously, finds Kent Gibson declaring an unknown image as the lost aviatrix Amelia Earhart. His Earhart declaration has been brutally disproved. 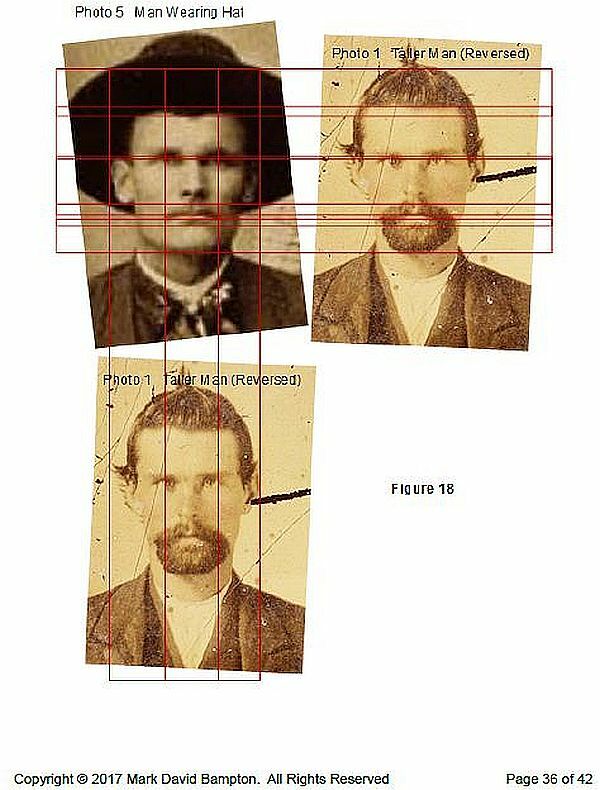 In 2017, the New York Times published a fake photo story, typical headline and all, that claimed Will Dunniway and Kent Gibson had authenticated Billy the Kid and Pat Garrett in the image above. 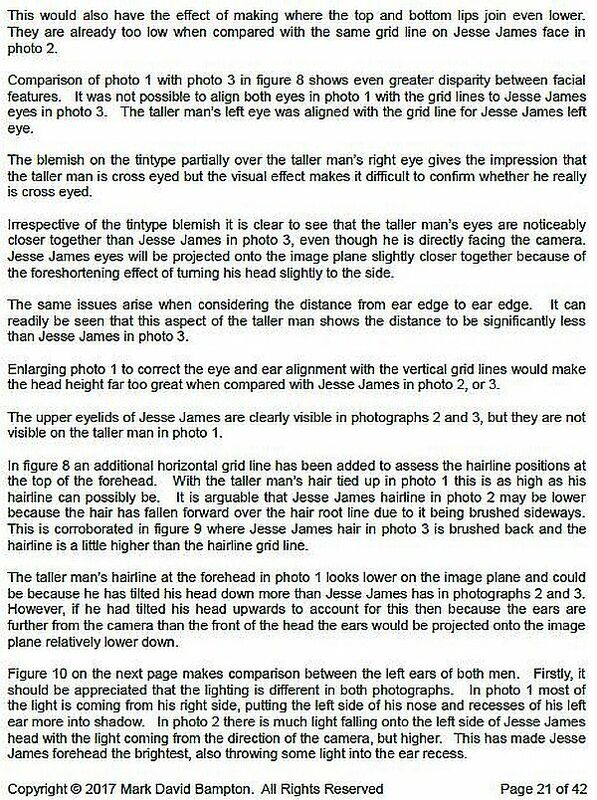 The image owner, Frank Abrams previously had hawked the image as including Jesse James. 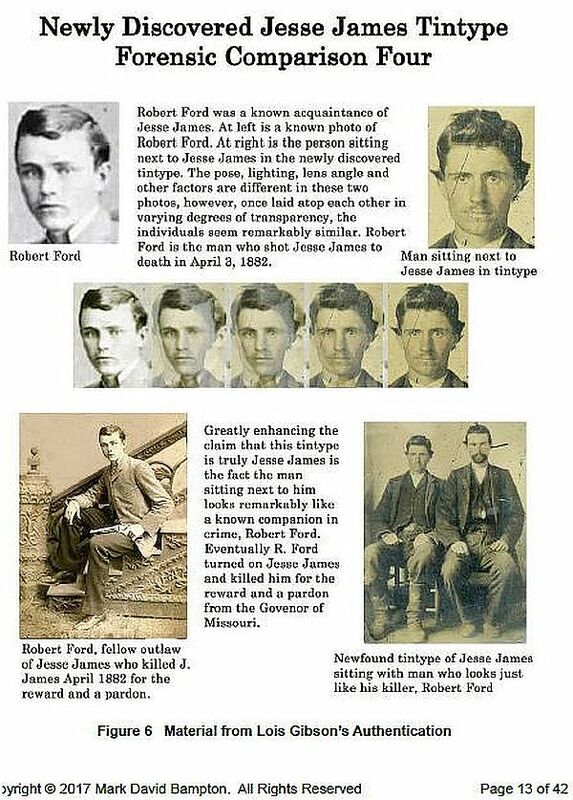 Not finding believers in the claim to Jesse James, Abrams turned to Gibson and Dunniway to produce the altered claim of the Kid and Pat Garrett. 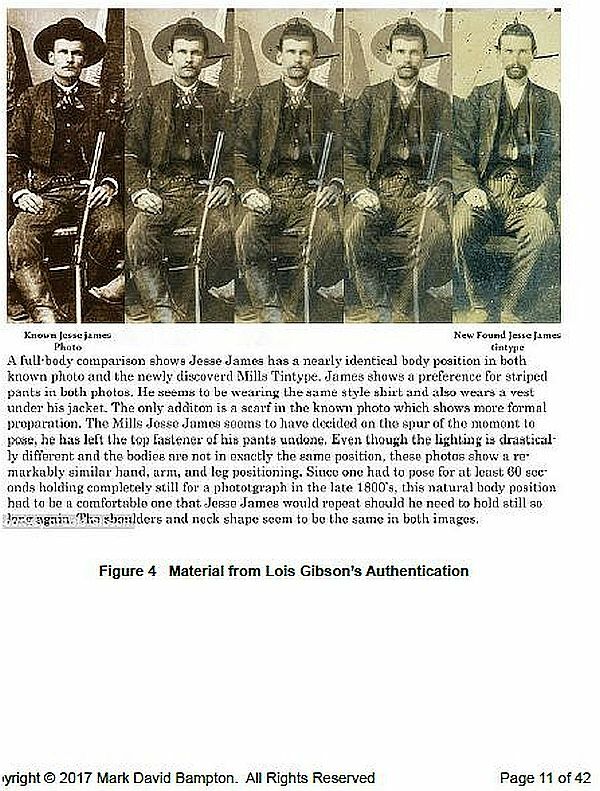 About the same time, Gibson’s authentication of the Billy the Kid croquet image was debunked. Gibson had claimed to discover the location where the image was taken. 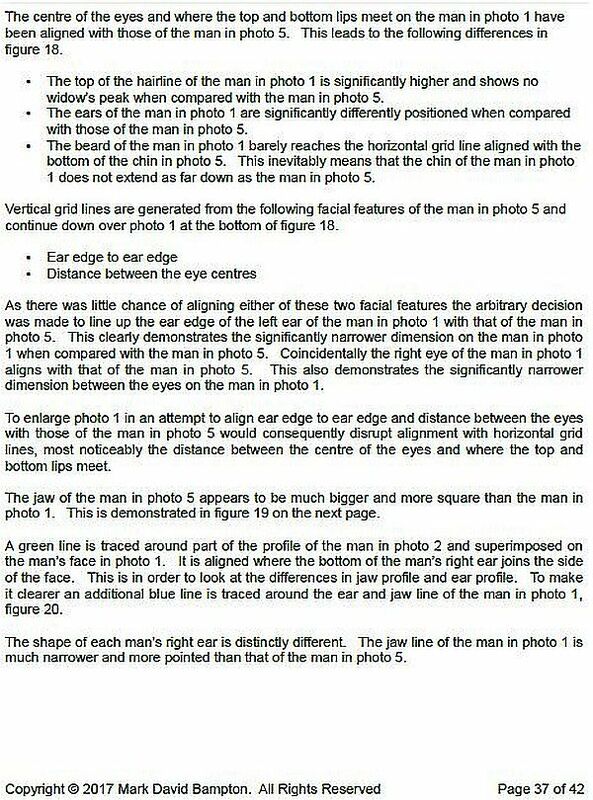 The location and timeline of the image were disproved. 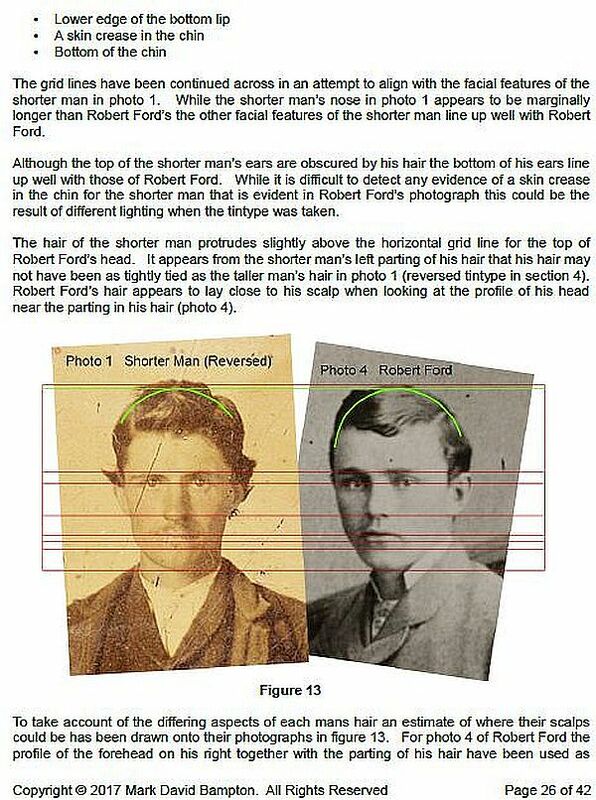 Amateur debunkers became more expert in debunking than the experts were in authenticating. The image’s owner was revealed to be a shopper of photo experts. One abettor was a coin dealer and auctioneer, who stood to benefit by the sale of the artifact. Other auctioneers previously had passed on the artifact. 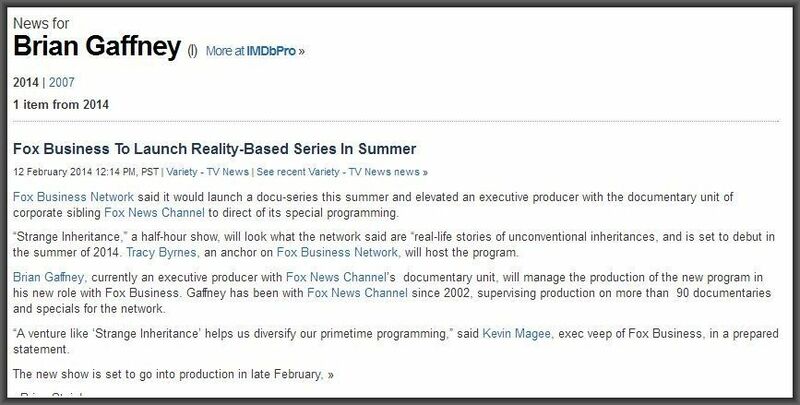 An unwitting abettor was the National Geographic Channel that was conned into producing a documentary of the discovery. Embarrassment followed for the Society when the discovery was debunked. 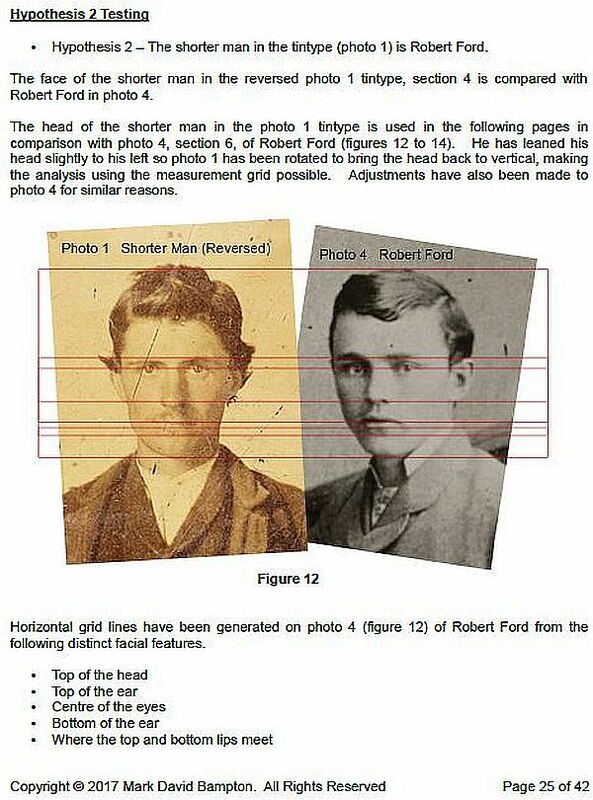 Gibson’s expertise in the artifice was downgraded after his Billy the Kid location identification was found to be an impossibility. Gibson had to admit his identification was not good enough to hold up in a court of law. Finally, Gibson’s reach into extreme fantasy to identify Amelia Earhart also was debunked. 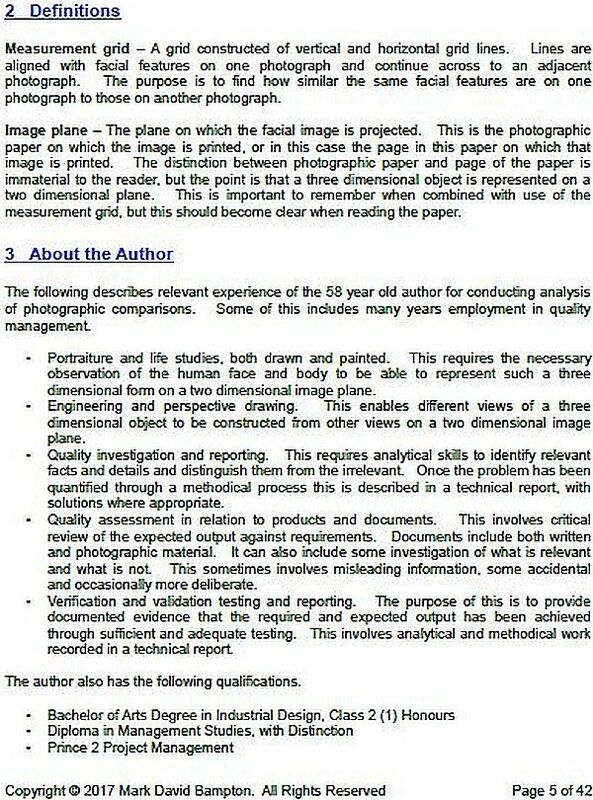 The face of Amelia Earhart is recognizable worldwide. 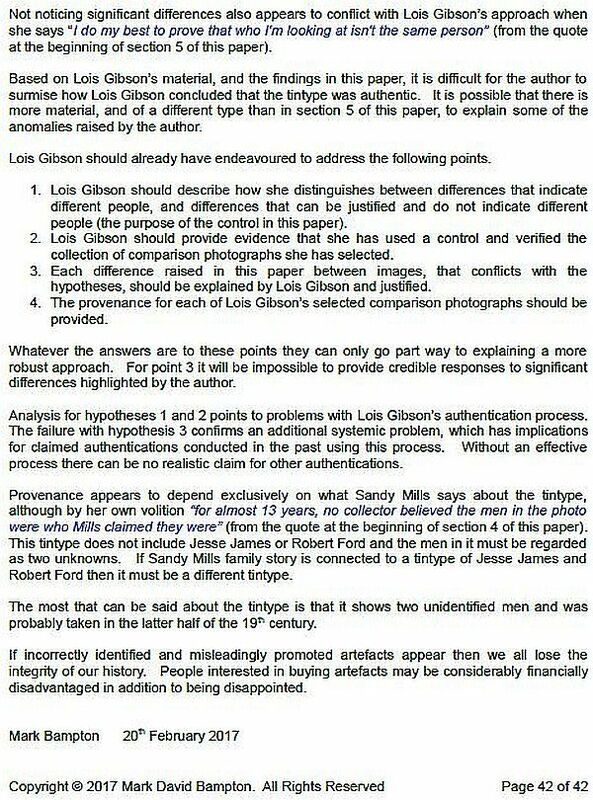 Only an expert of convenience like Kent Gibson would dare identify a person showing no identifiable facial features, who is photographed from the back, as the famed aviatrix. Expert of convenience Kent Gibson identified this seated person as the lost Amelia Earhart. 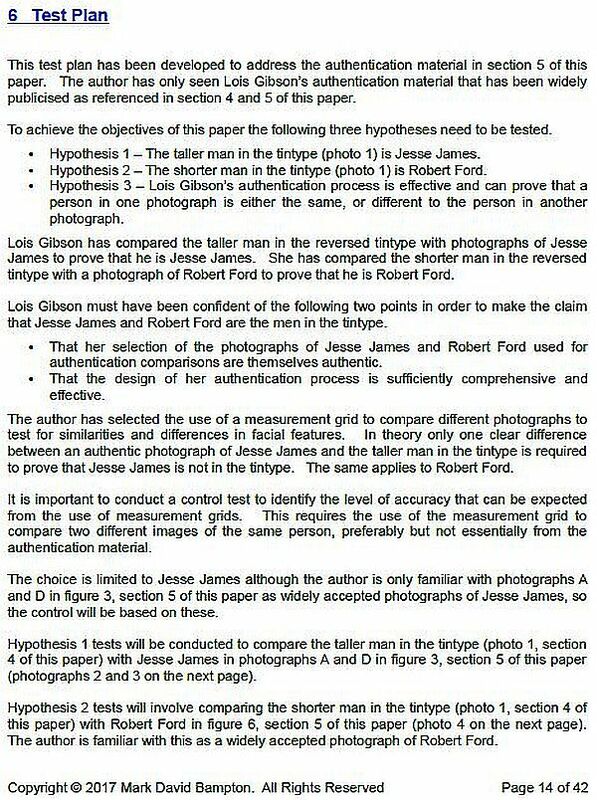 Gibson’s judgment has been disproved since. Gibson reached for worldwide recognition when he falsely judged this image for the History Channel. What he earned was worldwide mortification. 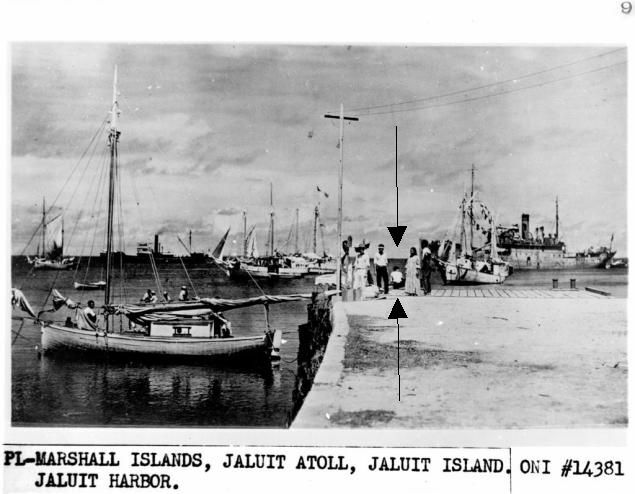 A post-mortem of Gibson’s debacle by the Center for Skeptical Inquiry (CSI) summarized numerous flaws by Gibson and his abettors in the Amelia Earhart farce when the image was proved to be taken two years before Earhart’s disappearance. 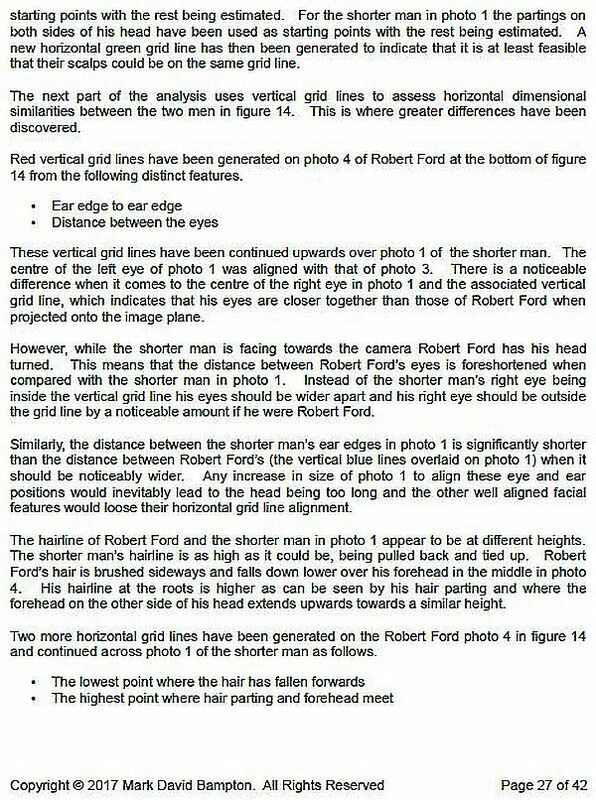 In the documentary, Gibson said that based on the facial and body proportions of the two Caucasians, he said it was “very likely” that the photograph contained Earhart and Noonan [ed. her co-pilot]. 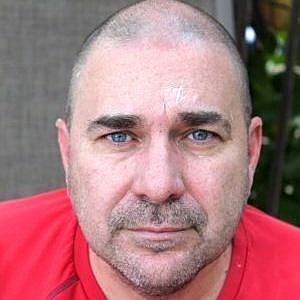 Not skilled in the meticulous metrics and analytics of photo analysis that applies forensic science techniques which are extensive and time-consuming, Kent Gibson prefers to rely solely upon photo comparison software for the quickie authentications he proclaims. 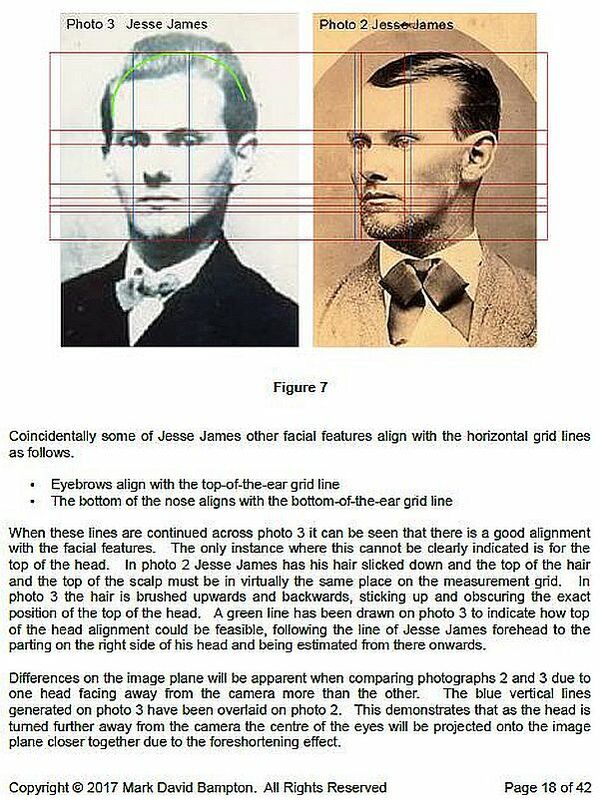 Con artists of fake Jesse James images feed off of one another. 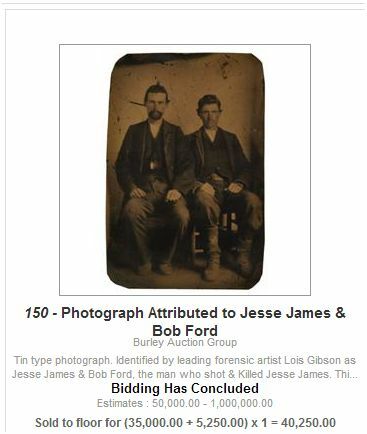 In Regina, Canada, Rob & Karen Baron produce a YouTube channel called “Bargain Barons.” They are promoting their latest discovery – a tintype they claim is Jesse James. 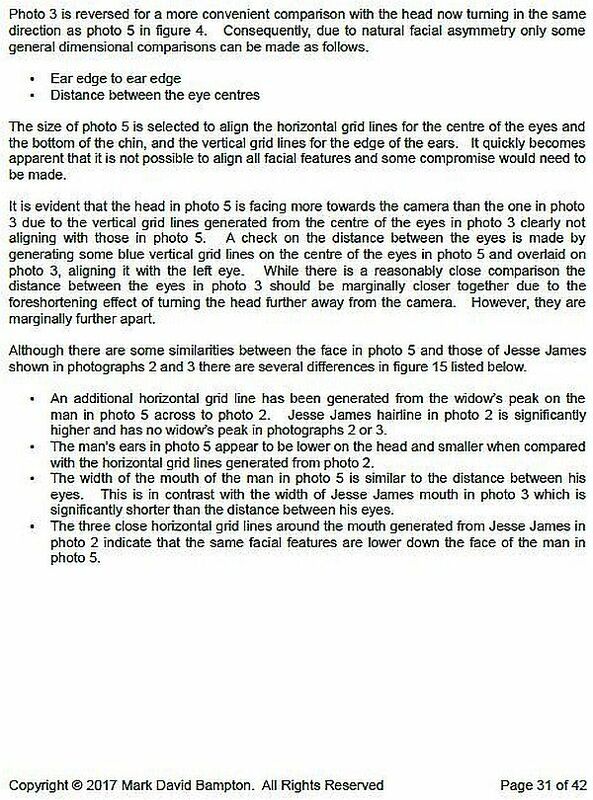 So far, Rob & Karen Baron are making all the mistakes, following the typical template of a Jesse James photo con artist. Without a doubt, once the Barons have an authentication in hand, issued by an expert of convenience like Kent Gibson, the Barons may seek to become merchants of identity theft like Justin Whiting. They may seek an expected financial windfall, too. 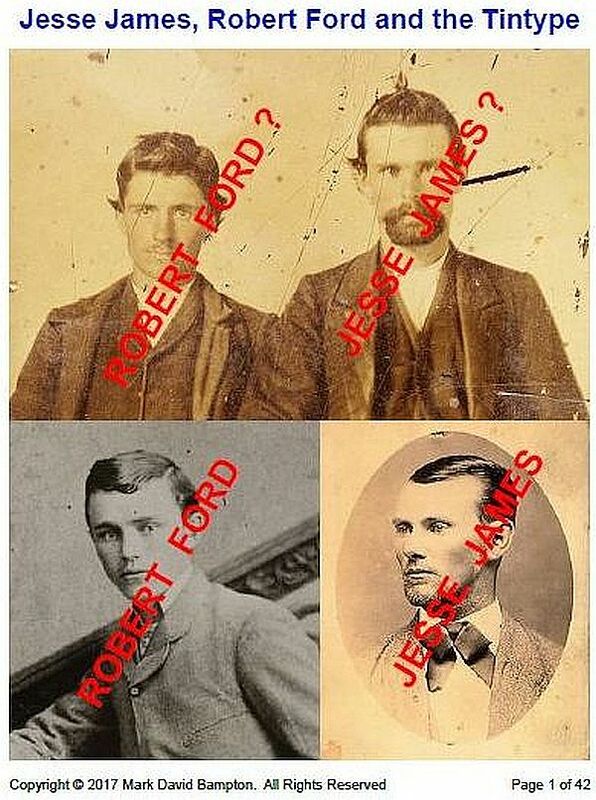 If they do, the Barons will find the Jesse James family waiting for them to discredit their image and expose another fraudulent Jesse James photo misadventure.